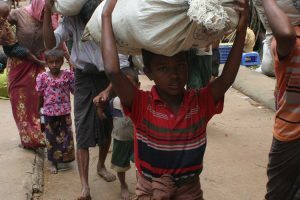 Myanmar’s de facto leader, State Counselor Aung San Suu Kyi said on Tuesday, September 19, that the country does not “fear international scrutiny” over a military crackdown that has seen hundreds of thousands of people flee to Bangladesh in recent weeks. 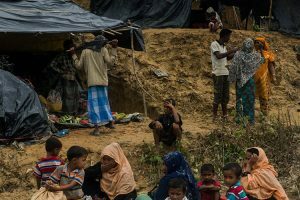 The UN estimates 420,000 Rohingya people have fled to the Cox’s Bazar area of Bangladesh from Myanmar since August 25, when the Arakan Rohingya Salvation Army militant group attacked 30 police outposts in Rakhine state, sparking a government crackdown and widespread violence. There are now almost 620,000 refugees from Myanmar in Bangladesh. 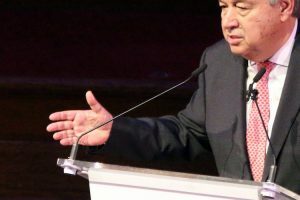 UN High Commissioner for Human Rights Zeid Ra’ad Al Hussein said on September 11 that the government response seemed “a textbook example of ethnic cleansing,” an assessment not disputed by UN Secretary General António Guterres on Sept 13. Suu Kyi said that she was ware that the world was watching the situation unfolding in Rakhine state. “As a responsible member of the community of nations Myanmar does not fear international scrutiny,” she said. “There have been allegations and counter-allegations … We have to make sure those allegations are based on solid evidence before we take action,” she said, adding that she wanted to bring understanding and harmony rather than more conflict. Ten members of the government’s Implementation Committee for Recommendations on Rakhine State began a two-day fact-finding visit to the state on Monday. The committee was formed on September 12 to assess and implement recommendations made by the Kofi Annan-led Advisory Commission on Rakhine State. “After their trip, we will set priorities for implementing recommendations and draw an action plan within two weeks,” committee chair Win Myat Aye said. Suu Kyi insisted there had been “no conflicts since 5 September and no clearance operations” against the Rohingya, a point widely disputed by people who have fled violence, and by others who fear leaving because they are cut off by hostile Buddhists. Suu Kyi claimed the “great majority of Muslims” in Rakhine have not left the country. 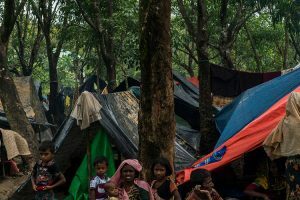 “More than 50 percent of the villages of Muslims are intact, they are as they were before the attacks took place,” she said, inviting diplomats in Myanmar to go and “study the peaceful areas. Myanmar government spokesperson Zaw Htay said on September 13 that 176 out of 471 Rohingya villages in three townships in Rakhine state were now empty and that some residents fled from at least 34 other villages. 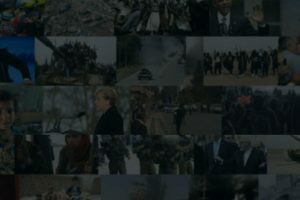 Earlier on Tuesday, Human Rights Watch published new analysis of satellite imagery which it said shows 214 villages with more than 90 percent of the structures damaged. Referring to a 1993 agreement, Suu Kyi said that Myanmar would accept the return of refugees from Bangladesh “without any problem,” but a March report by Annan’s Rakhine Commission said that only around 2,000 Rohingya had by then been granted Myanmar citizenship. 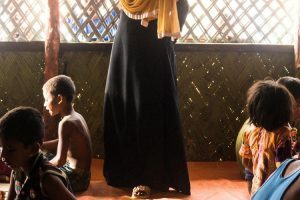 “She is trying to claw back some degree of credibility with the international community, without saying too much that will get her in trouble with the [military] and Burmese people who don’t like the Rohingya in the first place,” Robertson said. “There is overwhelming evidence that security forces are engaged in a campaign of ethnic cleansing through murder and forced displacement … she is still silent about the role of the security forces in this,” he said.